Francis Conway is Swill - one of the millions in the year 2041 who must subsist on the inadequate charities of the state. Life, already difficult, is rapidly becoming impossible for Francis and others like him, as government corruption, official blindness and nature have conspired to turn Swill homes into watery tombs. And now the young boy must find a way to escape the approaching tide of disaster. 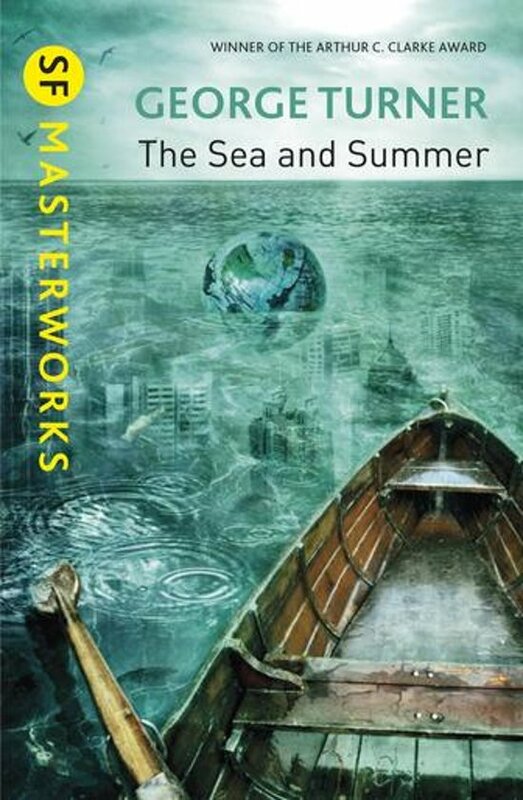 The Sea and Summer, published in the US as The Drowning Towers is George Turner's masterful exploration of the effects of climate change in the not-too-distant future. Comparable to J.G. Ballard's The Drowned World, it was shortlisted for the Nebula and won the Arthur C. Clarke Award.